Newcomer Family Obituaries - Barbara J. Berkenstock 1948 - 2019 - Newcomer Cremations, Funerals & Receptions. 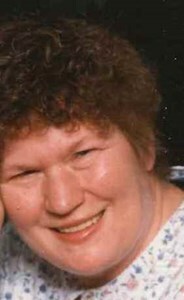 Akron native Barbara J Berkenstock, 71, went to be with the Lord February 5 2019. Barb was preceded in death by her parents, Raymond and Jean Greene; her husband, Donald Berkenstock; and sister, Debbie Allen. Barb is survived by her son, Dave (Jeanie) Berkenstock; sister, Donna Kemp; brother, Raymond Greene; grandchildren, Alan, Abby and Dan; as well as many cousins, church family, and friends. Barb retired from Akron General Hospital as a nursing assistant. She was a devoted and active member of the Akron Seventh Day Adventist Church. She enjoyed music and was a self-taught pianist, as well as a talented cook and baker who loved baking treats, especially for her grandchildren. Family and friends are welcome to visit on Friday February 15, 2019 from 11am until 1pm at Akron First Seventh Day Adventist Church 655 E Waterloo Rd, Akron, OH 44306. A funeral ceremony will take place at 1pm. Inurnment will take place at Ohio Western Reserve National Cemetery at a later date. Memorial contributions may be made in Barb's honor to the Pathfinders or Adventures groups for children at Akron First Seventh Day Adventist Church to the address listed above. Add your memories to the guest book of Barbara Berkenstock.